Cobra’s Curse is going to be awesome. The multi dimensional coaster concept is moving along. Story and some great coaster thrills. This isn’t your ordinary roller coaster. This one-of-a-kind family Spin Coaster takes riders on a whirlwind of family fun and an adventure of exciting explorations. After ascending on a vertical lift, just like an elevator, riders will come face-to-face with an 80-foot snake icon and trek over the park’s Serengeti Plain. This family-friendly ride puts guests in the middle of a mysterious Egyptian archeological excavation that takes them on the ride of their life. 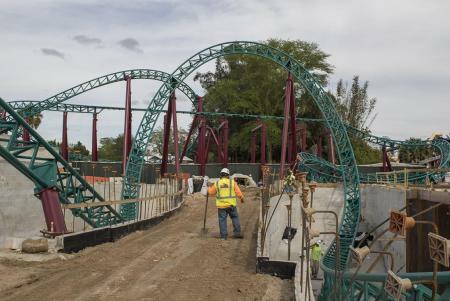 Cobra’s Curse will open to guests in 2016, so check back for the latest updates, or “Like” the Busch Gardens Facebook page and follow @buschgardens on Twitter and Instagram.